If you ever venture into the South American aisle of a decent wine shop (and having a “South American” aisle is a sign that it IS a decent wine shop), no doubt you’ve noticed a bunch of bottles from Argentina with “Malbec” on the label. In fact, you probably have tried at least one or two Malbecs, as it has become more prevalent and popular in the USA over the last few years. Would you like to know more about this mysterious wine? To start, Malbec is a grape, and indigenous to France — which may seem strange since all the Malbec you see seems to be from Argentina. Fact is, in France Malbec is known mostly as a mere blending grape, used in faint quantities to soften the strength of Merlot and/or Cabernet Sauvignon in Bordeaux wines. Well, that’s not entirely true … the grape is also known as “Cot” in areas outside of Bordeaux — for example it is the main grape for the “black wines” of Cahors (they’re not really black, but they’re a really dark shade of red, and leave your tongue looking like a Chow Chow’s). Somehow, some way, Malbec found its way to Argentina, where it flourishes. The high altitudes, long, warm sun-filled days, cool nights, extra-dry climate, and sandy, alluvial, porous soils are ideal for the grape. Good thing, because Argentineans eat a lot of beef, and drink a lot of red wine — and for the better part of the 20th century, much of that wine was Malbec. Malbec vines are everywhere in the South American country, producing enormous volumes of red wine for its citizens — who used to be among the highest per-capita wine consumers in the world (80 liters of wine per person per year back in the 1960s — wow!). However, in the 1980s, someone had the bright idea to pull all the Malbec vines and replace them with more marketable (and exportable) grapes such as Chardonnay, Merlot, and Cabernet Sauvignon. By the end of the decade, only 10,000 acres of Malbec were left — at which point more intelligent winemakers came in and said, “hey, there’s nothing special about Cabernet and Chardonnay from Argentina … but that Malbec — wow!”. As you might guess, the Malbec vines went back in the ground. At least the Argentineans became skilled at vine-pulling. In the 1990s, with Argentina’s return to democracy and a hyperinflated economy, winemakers from around the world descended on and purchased undervalued Argentine vineyards — and continued planting the country’s most special grape. The influx is starting to pay dividends now, as more and more high-quality, fairly priced Malbecs are entering the market every year. OK, But What Is Malbec, Really? So that’s the background of the grape. But how about what it means to you, poured out into a glass? Hard to pinpoint, actually. On the one hand, Malbec can be an inky black, rich and deep wine with big tannins and 20-year longevity. Personally, I’ve tasted some $50-$60 Malbecs that rival “Super Tuscans” and Calfornia reds that cost twice the price. On the other hand, Malbec can also be fashioned into a ripe, approachable, soft, ten-buck wine that matches perfectly with pizza or pork. 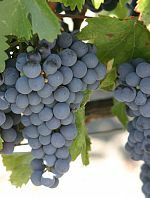 Generally, though, most Malbec wines share these characteristics: ripe black fruits, such as plum and blackberry; peppery notes; earthy; firm tannins; ample acidity; conducive to oak aging. In other words, a flavor profile that may be somewhere between California Cabernet Sauvignon and California Merlot. The Malbec wines called “Cahors” (which may be found in the France aisle of a very good wine shop) tend to be more inky, more earthy, and a bit more tannic. The Argentine examples tend to be riper and more jammy (though there are some “old school” Argentine wineries that go more toward the rustic side). If you haven’t yet tried a Malbec, and you enjoy red wines, then it’s a no-brainer — buy one and match it with a grilled skirt steak (or portobello if red meat makes you uncomfortable). As with most wines, you will get what you pay for, so don’t pull a bottle from the bargain bin and expect it to bowl you over. My advice is to get to that decent wine shop, find the South American aisle, and spend somewhere between $12-18. You won’t be disappointed.